You are here: Home / Blog / Spring Is Here! Today really feels like spring! 11 baby ducklings! Just in time for the Piedmont Garden Club!! The proud Mommy! It’s the most we have ever had! The duck house in the rear (from LWB Creations in Georgia) is where she sleeps to keep the ducklings safe! She laid her eggs and hatched them in the one in the front! The ivy is growing new leaves! I was asked by the Piedmont, California Garden Club to show them our garden and house. I was so pleased and flattered; I asked them to have a picnic lunch in the garden at the long table! They are coming on Tuesday! Previous Post: « A lovely post by a friend and blogger! Just beautiful Penelope! Welcome darling ducklings!! 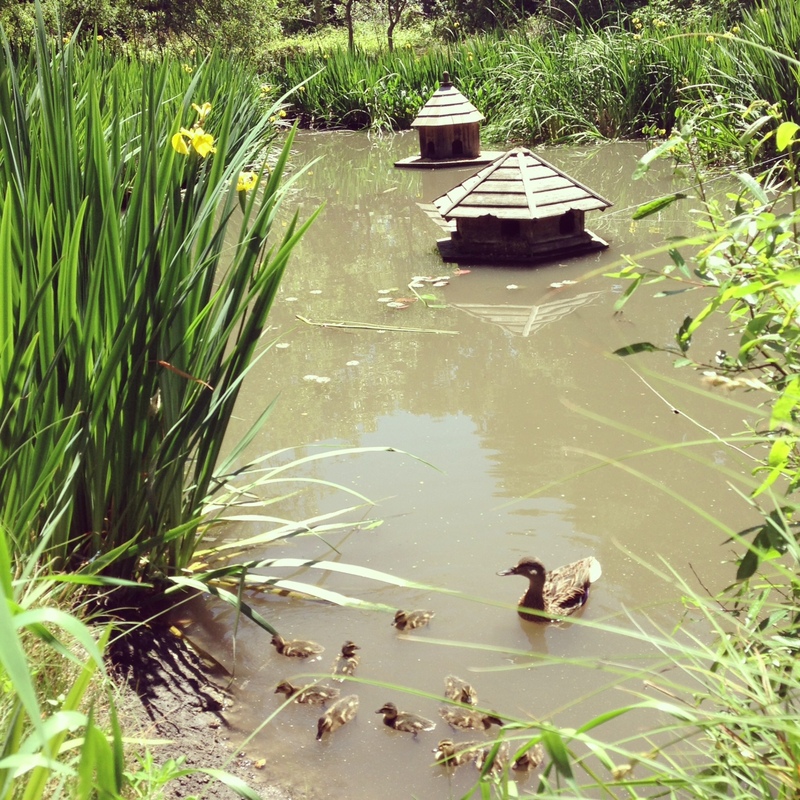 What could add more charm to your garden party than ducklings – so hope you take pictures! I LIVE RIGHT BEHIND THE HILL FROM PIEDMONT!TELL THEM TO POP OVER TO LAFAYETTE AND VISIT ME AT THE HEN HOUSE WITH PHOTOS OF THE GARDEN AND DUCKLINGS!WISH I WAS ONE OF THOSE GRAND DAMES EATING ON THAT DIVINE TABLE IN YOUR GARDEN!!! Excuse me, but your generous, lovely heart is showing! Just bought a lot to build new house on. Thank you, thank you….your house has been a huge inspiration to me. YOU are an inspiration to me!!! Wish I was closer to Santa Barbara…I’d be looking you up with my camera and tape measure in hand!!!! What a lovely comment! ALL of them are lovely! I cannot tell you how much they mean to me!! Your garden is gorgeous, but I’m sure you’ve heard it all before! Anyway, as I have said in the past, your house has been an inspiration for me from way back when. Beautiful! PS: I live on the island of Crete, not Corsica. Don’t know if you are confusing me with someone else. I love you house and guest house and the grounds, too! Have you ever considered getting the rights from your architect to sell your plans of your house? Penelope’s House Plans? I think they would sell like hot cakes! I would be your first customer. We are looking to buy a piece of land and I would love to build a house like yours on the property. Thanks for the post! What a great idea!! I am going to look into this! I do; by the way, do decorating over the internet. Thirty years ago I did an entire house being built in North Carolina (by a long-time client in Pasadena, Ca. Before faxes, emails, digital photos! It turned out beautifully; and she was delighted! I only saw lots of pictures!! Thank you for email! You are such an “angel girl”! So generous of spirit and enthusiastic….I love that. I hear such encouragement and excitement in your voice when you communicate with us. Thank you again….I hate people who won’t share a recipe or paint color…really??? Going to take my time with this next house…I’ve built before but this is different…..probably last one. Thank you again for all the inspiration I’ve gotten from your home and gardens. If I’m ever that direction you may find me on your doorstep one morning with with biscuits and coffee! PS. I agree with Emily…I would love to see a floor plan…even rough sketch. 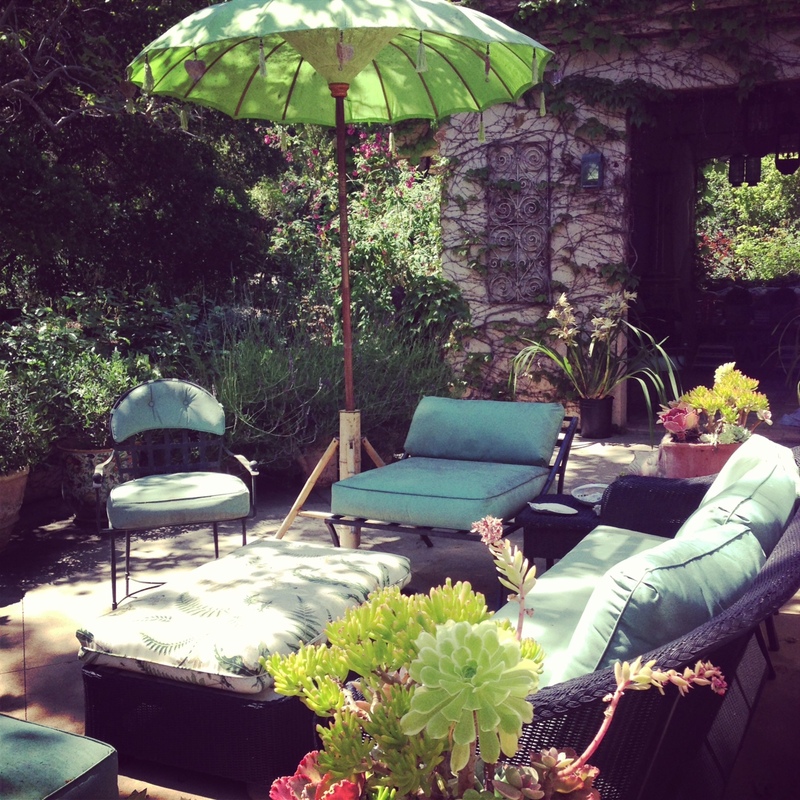 And, I wanted to tell you….I clearly see the inspiration from your home in Patina Farm! Beautiful! Oh hooray!! It is duckling time again!! 🙂 And no wonder the proud Momma out did herself, she has not one but TWO houses–now, that is luxury! I am so jealous of my friends who are visiting you tomorrow. Nancy Cecconi is my husband’s partner’s wife and Lisa Dell Osso is a very good friend and an amazing designer. Since I live across the Bay, I cannot belong to the Piedmont Garden Club, unfortunately. I will just have to hear their stories about how lovely your garden and home is. You are so generous to invite them for a picnic. They will think they’ve died and gone to heaven. I told Lisa to say hi to you from me!